Hide deals from seller "Fashion House "
Limit 1 per person and 1 per transaction. Valid toward services and merchandise. Services by appointment only. Full value of Gift Certificate must be redeemed in 1 visit. 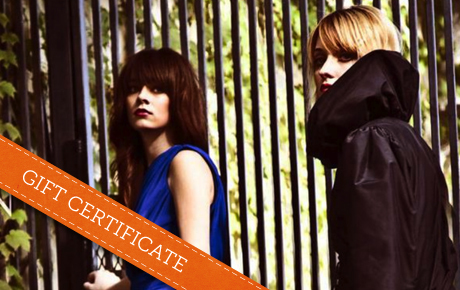 Make sure you have the perfect outfit for any occasion with 50% off a $50 Gift Certificate to Fashion House in Pilsen. This unique consignment and resale shop also offers style consulting and personal shopping from fashion-forward consultants who can help you improve your look. Fashion House was established in 2009 to provide vintage clothing and fashion services to the Pilsen area. Melissa, owner of Fashion House, has a passion for art, fashion and style that she has put to use in this one-of-a-kind store. The knowledgeable consultants offer personal shopping, closet consultations and luggage packing, while the shop boasts a variety of vintage lines, including FashionHouse Revamped, an in-house clothing line that reconstructs vintage pieces. Get an elite look with this stylish deal. Fashion designer in Pilsen offering ready-to-wear clothing and consulting services.